Ack! Those bearish moves on the pairs I’m watching for this strategy didn’t really last. But did the early exit signals save the day? EUR/USD had a short position from the earlier update, but price found support at the 1.2200 mark then staged a strong rally soon after. As a result, the stop loss was hit before a new crossover even took place. A stochastic pullback signal to go long soon followed, and I’m hoping this fares much better. 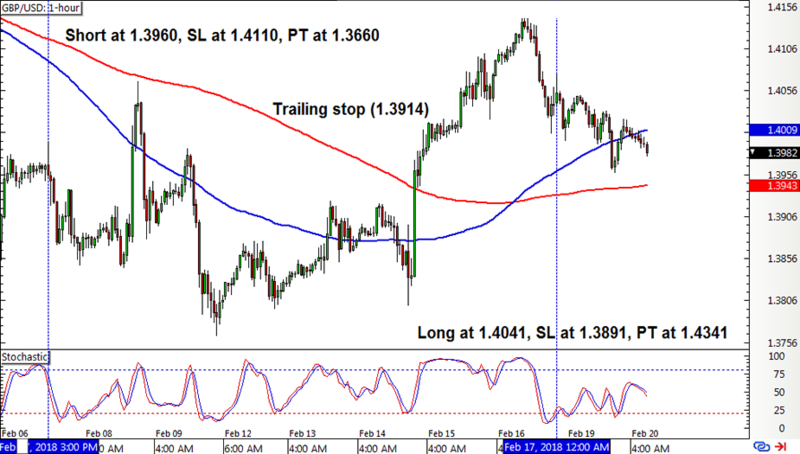 Cable also had a short position last time I checked and, just like EUR/USD, the pair popped sharply higher mid-week. Fortunately for this one, the trailing stop was already in place and was able to catch a few pips. 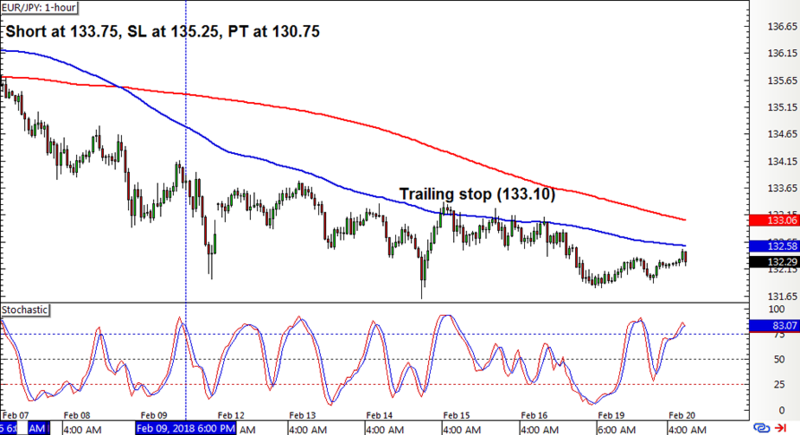 A long position was soon opened when stochastic pulled back to the oversold area after the upward crossover. The short position on EUR/JPY also showed enough bearish momentum to have the trailing stop in place. And this early exit signal was hit on a large pullback, even though the downtrend still appears intact. Not complaining, though! 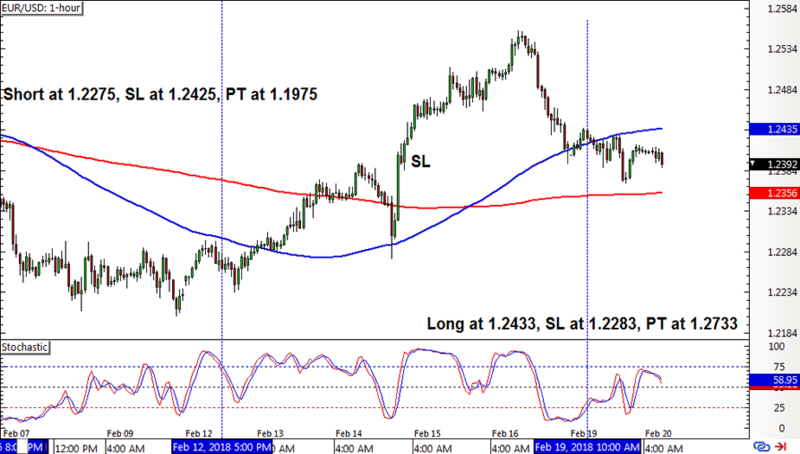 EUR/USD may have hit its full stop loss, but the other pairs tried to make up for those losses with a couple of wins on their trailing stop exits. Unfortunately, these positions came up short with a 111-pip gain or 0.73% win, leaving the strategy down by 39 pips or 0.37% for the week. I’m not all that disappointed, though, as I’m actually pleased that EUR/JPY managed to shake off the choppy moves from earlier in the year. Got another set of short dollar positions opened on Cable and EUR/USD, so I’m hoping that the Greenback resumes its winning streak in the days ahead. ICYMI, check out the system’s performance for Q4 2017 and how Happy Pip is faring with her brand-new Happy Hunter Trading System.